I though it best for the second installment of this series to be the next step in your wash day: deep conditioning. It took me a little while to complete this list as I’ve used many different deep conditioners that were great on Fro, but no so much on the wallet and definitely not less than R100. And as much as many foreign brands are finally coming to SA, many are still only available online. I know there’s still something awesome about being able to go out to the shop, feel the packaging and purchase it right there and then. So here they are, three readily available deep conditioners all under R100. As tested by me, and Fro. I doubt I’ll be able to complete these posts without featuring at least one product from ORS. In general, they offer many different hair products to cater for all hair types and most of them are pretty affordable and…where can’t you get ORS? 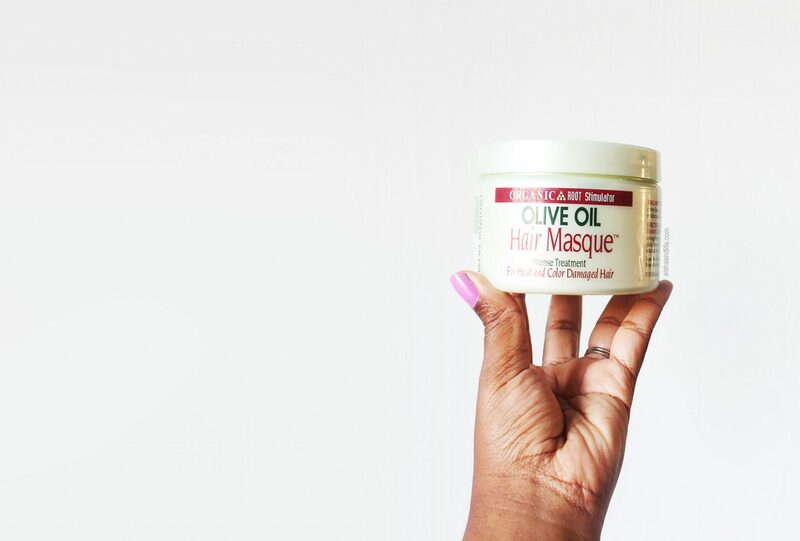 I’ve already sung their Olive Oil Replenishing Conditioner’s praises and this hair masque is a great alternative. It’s thick, so you don’t need much product to do the job. It also has a milder scent than the Replenishing Conditioner if you’re not such a fan of it as it can be a bit too citrusy for some. This has become my go to treatment especially when I review other products that don’t do my hair justice, I like to reach for this knowing it’ll fix however my hair is feeling. Staple. 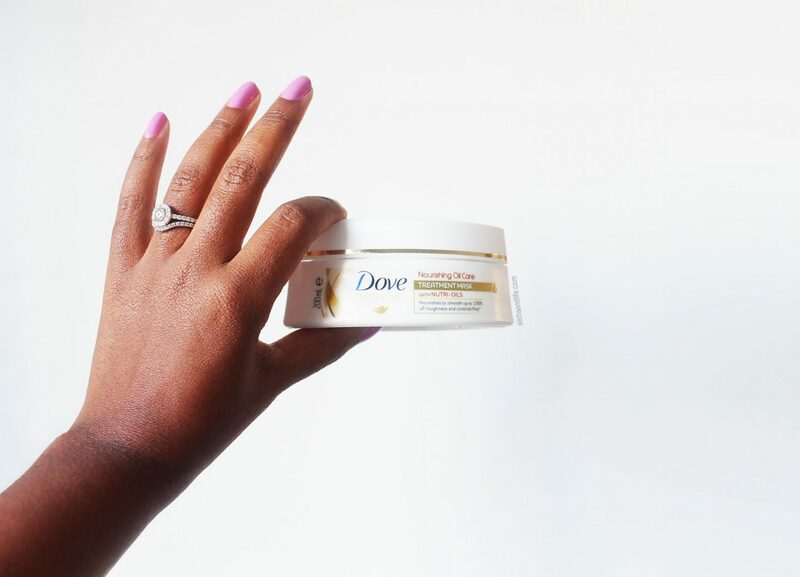 Yes, Dove. No I haven’t gone crazy, or lost my way in the hair products aisle. Traditionally, Dove never seemed to be an option for us but I’ve given a couple of the “white” hair products a chance over the years and although many have left my hair feeling like a straw hat, this one is a winner for me. The scent of it is definitely acquired, as it’s very perfumey. But I actually don’t mind it as much as it doesn’t linger once it’s rinsed out. I also forgive it because it leaves my hair feeling so soft and bouncy. The directions don’t call for covering your hair with a plastic cap, but it’s such a must for me to do with any deep conditioner to help it penetrate my hair and give the best results. It’s got great slip and makes detangling with it on a breeze. Note: this product does contain mineral oil. It’s not one of the main ingredients (it’s not high on the ingredient list), however if you don’t want any mineral oil in your products, best to leave this off your list. 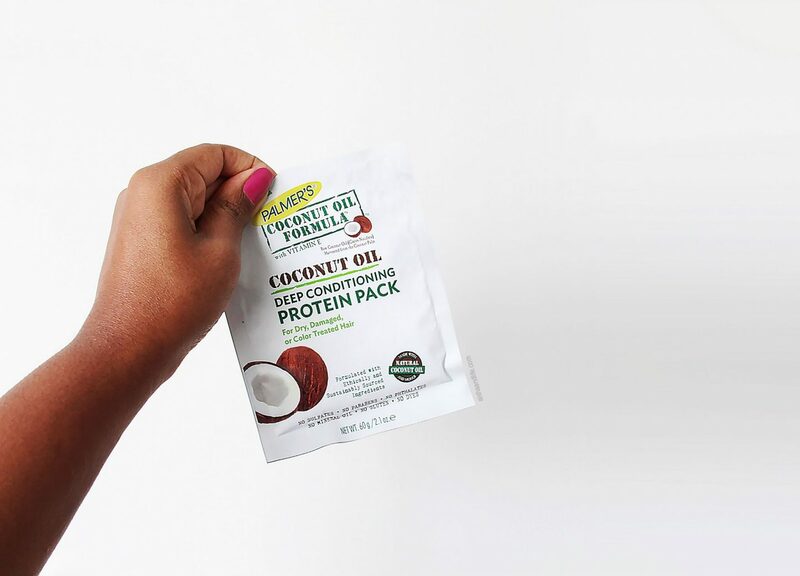 Don’t let the small packet packaging fool you, there’s a lot of product in this little sachet. I was also a bit skeptical when I first got it and whether it will be enough for my hair. Even though I’m currently rocking a tapered cut, this is definitely enough for a full TWA – medium afro. It’s a thick and creamy treatment for a quick punch of protein. I’ve used this after washing my hair with their shampoo and my hair smells like coconuts. You can also leave it on overnight in case your hair really needs that extra boost. Nice little buy. Ingredients: Water, Stearyl Alcohol, PEG-40 Stearate, Stearamidopropyl Dimethylamine, Cyclopentasiloxane, Cyclohexasiloxane, Cetyl Alcohol, Glycerin, Hydrolyzed Keratin, Cocos Nucifera (Coconut) Oil, Dimethicone, Butylene Glycol, Behenyl Alcohol, Cetearyl Alcohol, Hydroxyethyl Cetearamidopropyldimonium Chloride, Fragrance, Cocos Nucifera (Coconut) Fruit Extract, Tocopheryl Acetate, Hydrolyzed Silk, Nonfat Dry Milk (Sine Adipe Lac), Citric Acid, PEG-40 Hydrogenated Castor Oil, Stearalkonium Chloride, Propylene Glycol, Hydroxyethylcellulose, Quaternium-26, Disodium EDTA, Diazolidinyl Urea, Iodopropynyl Butylcarbamate, Benzyl Benzoate, Coumarin. You can get all of the above at Clicks or Dischem. What products are you and your fro currently loving? Previous Post I’m in Living and Loving! I am still on tresmme shampoo and conditioner; and I have used auntie Jackie’s moustiourising cream and the daily spritz mixture I got on your old blog post…my fro&I…and now I am using the afrobonatics curls and twist butter…my hair is soft,bouncy and rich…but I feel I need more moisture…I havent used deep treatment yet…and I am struggling to get one…but I will pick one here and try it…still trying to find my fro’s best products…and again thanks for the insights. I love the ORS hair masque too! It’s one of the best ones I’ve used in a long time!! Hi Aisha. What I need you to test on your hair is the Mera Amla Oil Conditioner. This is doing wonders for me. I wish I’d picked it up much, much sooner. Amazing slip, instant moisture and strength. Because of so much moisture that my hair is left with after (deep) conditioning, my curls come out POPPING. In less than a month, I’ve noticed so much volume on my head of hair. I also use a little as a leave-in conditioner. You can find it at Dischem, maybe Clicks too. Btw, great blog post. Keep on keeping on. Ooohh, thanks for the recommendation Mbinze. I’ll look out for it next time I’m at Dischem. I just googled the pic and I recognise the packaging. I’ve been curious about it but never given it a go so cheers for that! wow, That ors masque. . .I haven’t seen it before. I should keep an eye out for it next time I find myself at clicks. Ugh, theres this one dove conditioner i bought for clearance for R20, 20 bucks, it was so good to my hair. So sad I can’t find it anymore. Maybe they changed the label or rebranded that Dove conditioner? I do hate when that happens though, especially when you’ve fallen in love with a product.